Police department is made to keep our society clean from different kinds of crimes. Police is a department which control law and order situation of any country the word police is an acronym stands for Polite Obedient loyal intelligent courageous efficient or it may be some time used as Protection of life in civil establishment ,Anyone who is physically fit and fulfill every requirement can be the part of Police . You can join the police by going through different process that include physical tests, written tests, medical examination and finally interview. ASI stands for Assistant Sub Inspector having Basic pay scale 9 in Pakistan. An ASI is selected through Provincial Public Service Commission. ASP stands for Additional superintendent of Police. ASP and DSP has the same rank. ASP is selected through federal public service commission exam after passing the exam he can be allocated as an ASP. The candidate has to pass the competitive examination for “central superior services” (C.S.S). CSS examination is necessary to join grade 17. After passing the federal public service exam, a candidate is required to complete his training. After that he can join police force of Pakistan as an ASP. Basic education required to join police is matric up to graduation and master. After knowing about the jobs in Police department, you have to pass Physical and written tests. After that medical examination is done. The passing candidates will be interviewed by recruit authority. The successful candidates will be provided offer letters to join the police and after acceptance they will be sent on training for the period of 1 month to different periods. Later on they will join their duties according to the orders of commanding authority. The candidate has to pass the competitive examination for “central superior services” (C.S.S). CSS examination is necessary to join grade 17. Therefore think about this career choice and join police job this year. There are many jobs opportunities for Pakistani in Police department. A person can be a part of Pakistan Police by joining Police department. 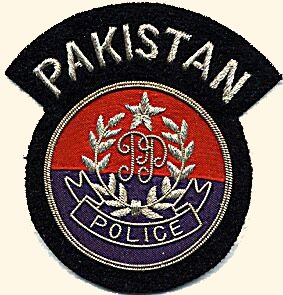 If you want to pursue a career in Police then it is very important for you to know about different ranks in Pakistan Police. The police personnel’s are divided in two major ranks i.e. junior ranks and senior ranks. You can make your future bright by becoming part of Pakistan police force. In these days youngsters don’t consider this career option because of Engineering and other science fields but in actual this is one of the good jobs in our country. Police jobs are announced in the newspapers in every year several times a year. Therefore you should avail the opportunity of becoming a police officer by joining this field. i am ready for exam. Yr koi bta skta hai Ask ke vacancies KB a rhe hain ab? Koi mujhy bata sakta hy k punjab police main ASI ki vacancies kub aa rahi hy. ? Koi mujhy bata sakta hy k punjab police main ASI ki vacancies kub aa rahi hyn ?? ?